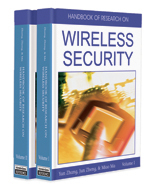 In this chapter we present the growing challenges related to security in wireless sensor networks. We show possible attack scenarios and evidence the easiness of perpetrating several types of attacks due to the extreme resource limitations that wireless sensor networks are subjected to. Nevertheless, we show that security is a feasible goal in this resource-limited environment; to prove that security is possible we survey several proposed sensor network security protocols targeted to different layers in the protocol stack. The work surveyed in this chapter enable several protection mechanisms vs. well documented network attacks. Finally, we summarize the work that has been done in the area and present a series of ongoing challenges for future work. Outsider Attacks: Attacks perpetrated by adversaries that do not have access to direct access to any of the authorized nodes in the network. However, the adversary may have access to the physical medium, particularly if we are dealing with wireless networks. Therefore, attacks such as replay messages and eavesdropping fall into this classification. However, coping with this attack is fairly easy by using traditional security techniques such as encryption and digital signatures. Key Distribution: Process of efficiently distributing cryptographic keys to the nodes that belong to a network. These keys could either be pairwise keys (for two party communications), group keys (for cluster-wide communication), or network keys (for secure broadcast communication). Insider Attacks: These types of attacks are those launched by adversaries that have access to one or more compromised nodes in a network. Insider attacks are the most challenging ones because the adversary has access to the network’s cryptographic materials (i.e., keys, ciphers, and data). Data aggregation: Process of reducing large amounts of sensor generated data to smaller and more representative data sets that synthesize the state of the phenomena that the network is monitoring. Compromised Node: A node on which an attacker has gained control after network deployment. Generally compromise occurs once an attacker has found a node, and then directly connects the node to their computer via a wired connection of some sort. Once connected the attacker controls the node by extracting the data and/or putting new data or controls on that node. Node Authentication: Process of ensuring that a given node and its data are legit. Data Freshness: Implies that the sensed data are recent, and it ensures that no adversary replayed old messages.